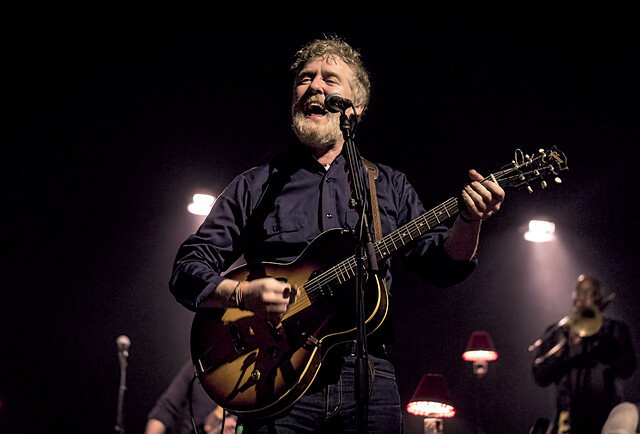 Posted on 03/29/2018 by Mickey McCarter	in Live Review and tagged Dublin, folk, Glen Hansard, Irish music, The Anthem, The Frames, The Swell Season. 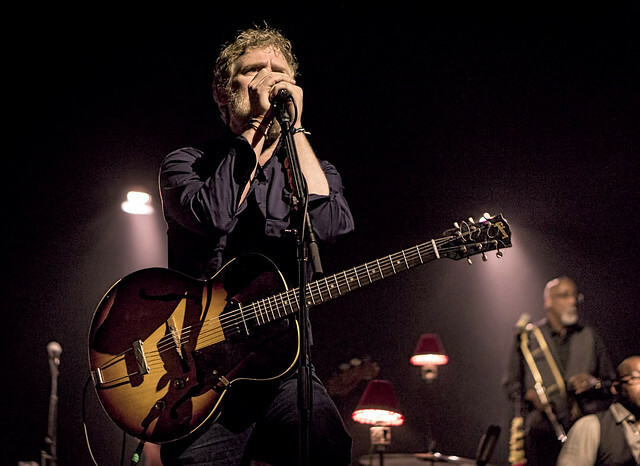 Glen Hansard recalled an abandoned car in his neighborhood and how it sat neglected for quite some time. Finally, one day, he peered inside, spotted a cassette deck, and found a cassette in it. 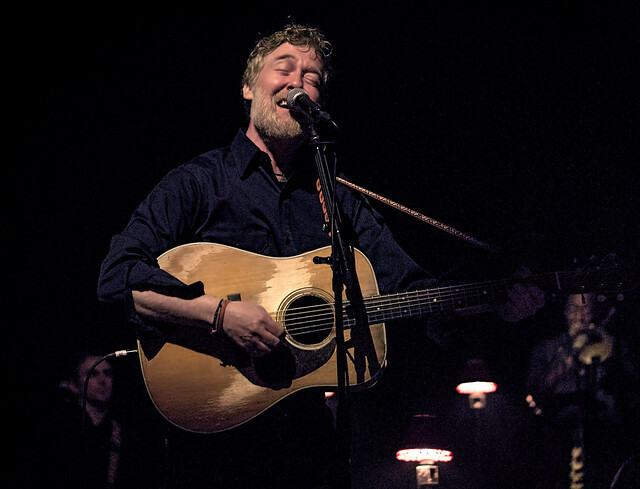 Glen actually has a new album, titled Between Two Shores, released in January via Anti- Records, but he performed only two numbers from it during a sprawling set — “Roll on Slow” and “One of Us Must Lose.” Glen gave more time to his heroes, including of course a nod to Van Morrison with a cover of “Gloria” by THEM. 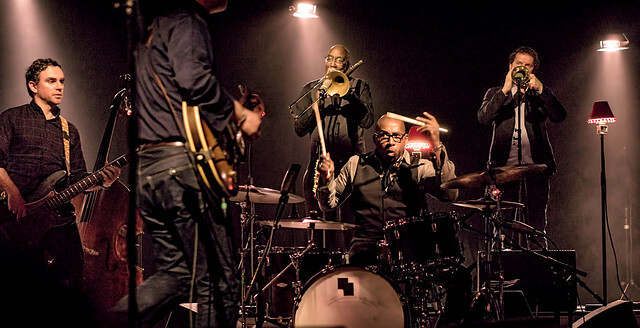 A New Yorker by way of Dublin, Glen pulled from Irish and American folk rock influences, including a storming rendition of “Vigilante Man” that Glen turned into a protest song against the policies of President Donald Trump. 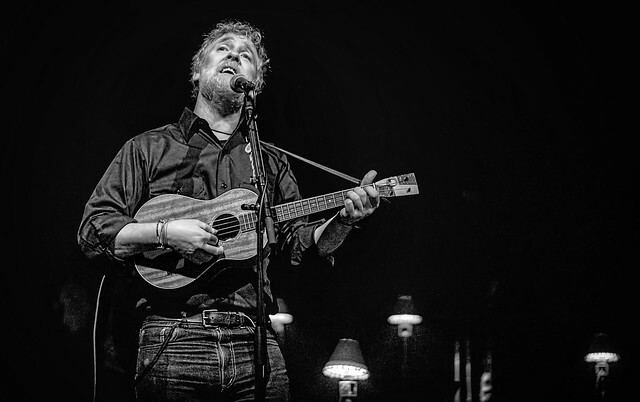 Perhaps the most powerful moments of the rambling 2.5-hour show, however, drew from Glen’s time as a member of The Swell Season, the union with Markéta Irglová that created romantic music for the movie Once, including Oscar-winning number “Falling Slowly,” which Glen performed to close his main set. 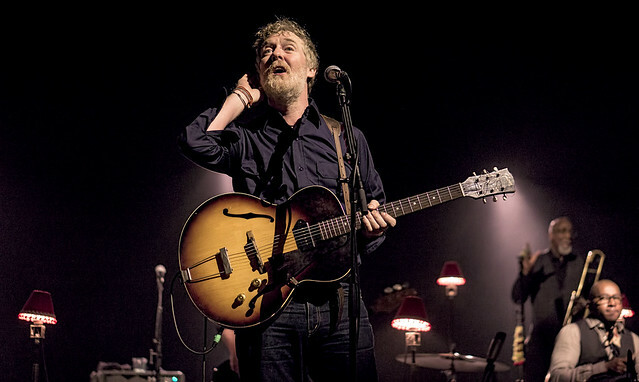 Earlier in the show, Glen played “When Your Mind’s Made Up,” and later he amused with a playful “Broken Hearted Hoover Fixer Sucker Guy,” which came in response to a shouted request from the audience. In fact, Glen’s responsiveness and willingness to engage in dialogue with his audience is part of his charm. 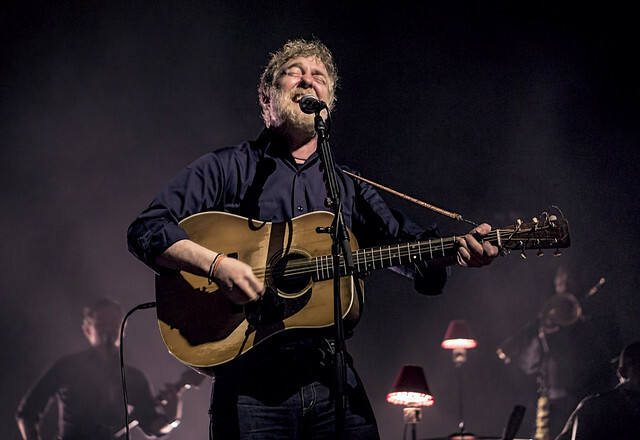 He’s a wholly authentic individual, moved on the spot by those things that move him, evidenced by his being gobsmacked by the voice of an audience member during “High Hope” and then inviting her on stage to sing her own original song during the encore of Saturday’s show. 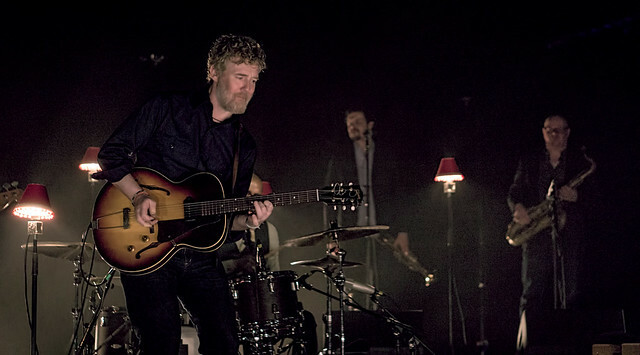 Also in the encore, Glen reached further back to his beginnings with The Frames and played “Fitzcarraldo,” the title track from his band’s 1995 second album. Beside Glen was Frames guitarist Rob Bochnik, who sang his own “Lovevolve” soon after the show’s halfway point, providing Glen with a vocal break but also giving him more opportunities to go crazy on his guitar. Glen’s frenetic guitar playing is sorely underrated. Glen wrapped his current tour, but keep your eyes open for more from him soon! He’s sure to be around with a guitar in his hands and a story on his lips. 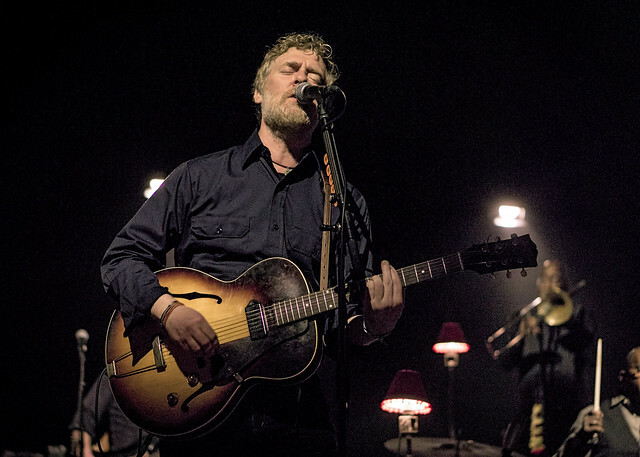 Here are some pictures of Glen Hansard performing at The Anthem on March 24, 2018. All photos copyright and courtesy of David LaMason. So close and personal excellent photos. You can feel his emotion.